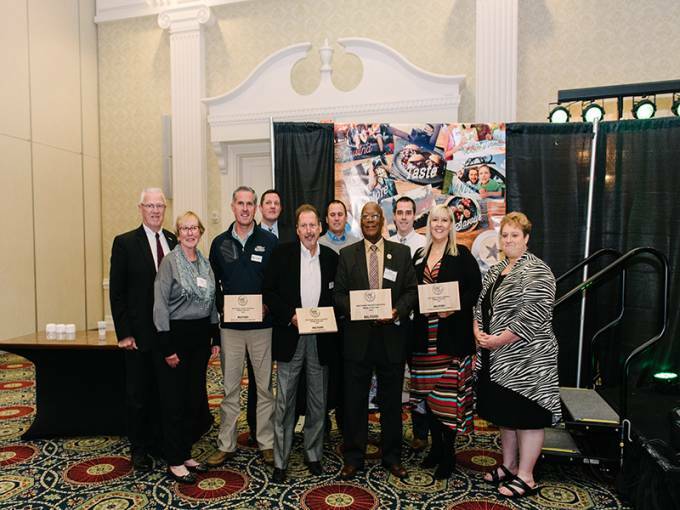 Thank you to everyone who came to the 2018 Celebration of Tourism Luncheon & Award on November 9th at Dover Downs Hotel & Casino! 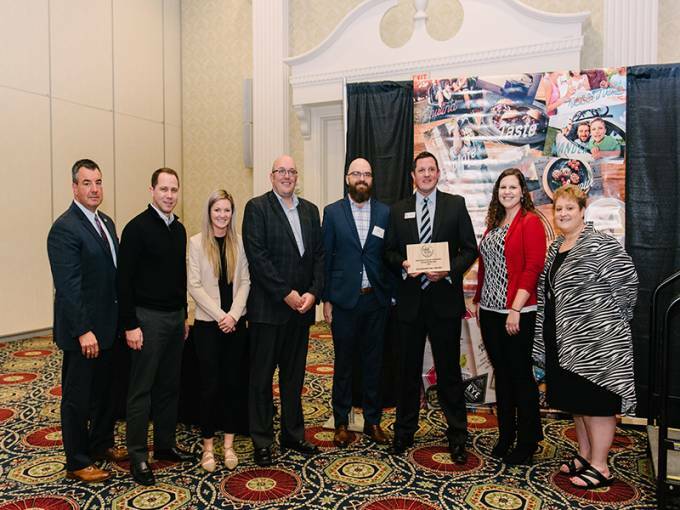 Tourism Partner of the Year Award: Dover International Speedway: Dover International Speedway When NASCAR announced that the Spring Races would be over the same weekend as the Dover Days Festival, both organizations found themselves in a predicament. After meeting, Kent County Tourism and Dover International Speedway decided to form a partnership to make the weekend a win-win for all of Dover. The marketing campaign that resulted was “From Horses to Horsepower, One Great Weekend for Dover.” The collaboration was a huge success and more visitors were exposed to Dover than ever before. The campaign even put Dover in the national spotlight with the Fox Sports segment, “Where’s Wallace?” seen by three-million+ people nationwide. The collaboration continued into the Fall with the sponsorship of the Annual NASCAR Hauler Parade by Delaware’s Quaint Villages. Through the efforts of the two organizations overall tourism and brand awareness to Delaware’s Quaint Villages increased, with website visitation to the bureau’s website (www.VisitDelawareVillages.com) increasing 73% over 2017 during the same timeframe. 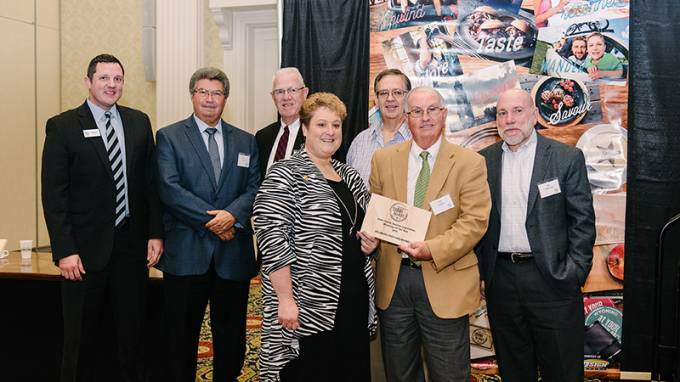 Tourism Attraction of the Year Award: Delaware State Fairgrounds: With the additional concerts at the Quillen Arena, events like The Great Pumpkin Carve Festival, and Bourbon, Beer & Butts. Along with bumper cars on ice at the Centre Ice Rink and a record-breaking attendance at this year’s fair helped the Fairgrounds elevate Harrington as a destination in the eyes of visitors to Kent County. 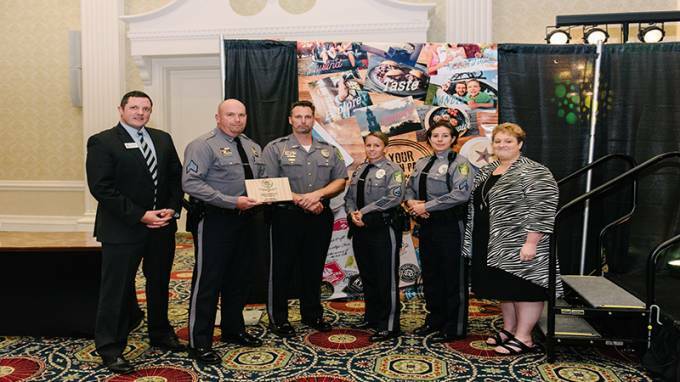 Tourism Champion of the Year Award: Dover Police Department: Over the past year, the Dover Police Department has helped support our community by making sure that both visitors and local community members stay safe at numerous events that take place throughout Dover each year. The community especially appreciates the extra man power it took the first weekend in May with the Dover Days Festival and NASCAR falling on the same weekend. 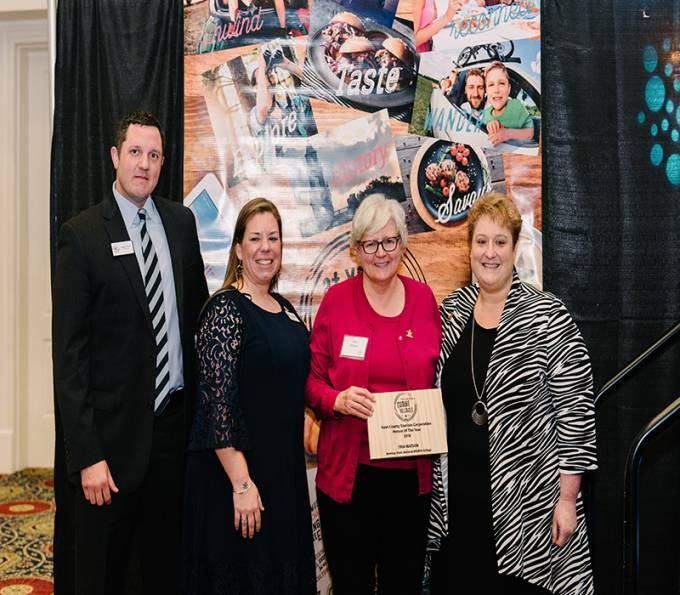 The Village of the Year Award: City of Milford: They were selected because visitors love going to Milford for their thriving art scene, numerous events held in the City, including the Inaugural Milford Ladybug Music Festival and Riverfest. With the opening of the Riverwalk Kayak Launch, Milford is now a favorite for outdoor enthusiasts. 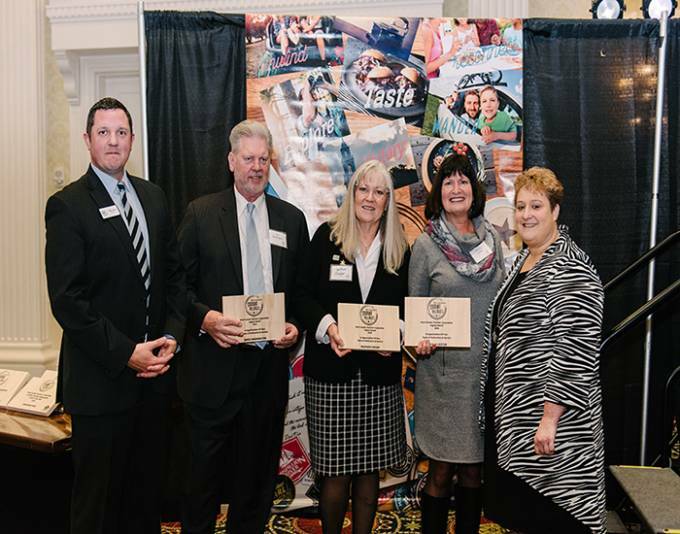 In addition, City of Milford, Milford Parks & Recreation, Downtown Milford, INC, and Chamber of Commerce for Greater Milford will be recognized for their continued collaboration with the city making Milford a great destination for visitors. 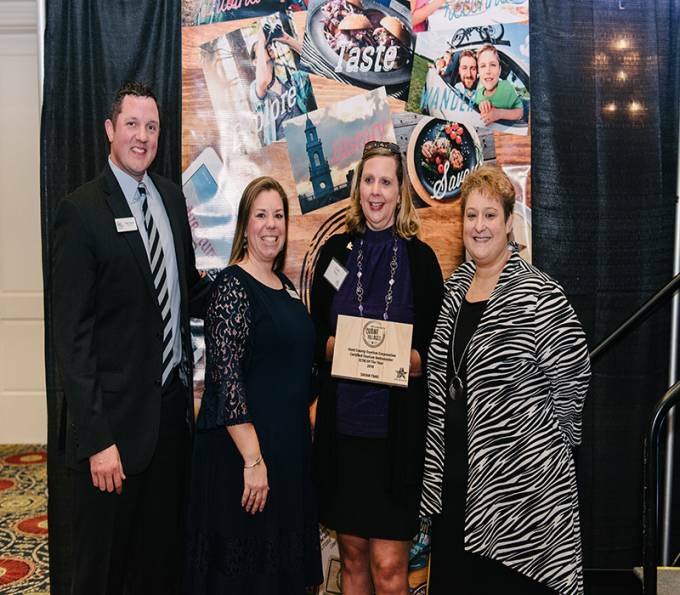 Certified Tourism Ambassador (CTA) of the Year Award: Meaghann Shaw, Hampton Inn Dover & Susan Thau, Home2 Suites: In March, Kent County Tourism launched the Delaware’s Quaint Villages Tourism Ambassadors Program. This multi-faceted program serves to increase tourism by inspiring front-line employees and volunteers to turn every visitor encounter into a positive experience. When visitors have a positive experience, they are more likely to return in the future and share their experience with others. Everyone benefits – the visitor, the industry, the local economy, and most importantly, the front-line worker. This year’s Certified Tourism Ambassador Award winners are: Meaghann Shaw from Hampton Inn Dover and Susan Thau from Home2 Suites. They both provide exceptional customer service and go above and beyond in making sure that visitors to Delaware’s Quaint Villages are informed and enjoy their time in Kent County. 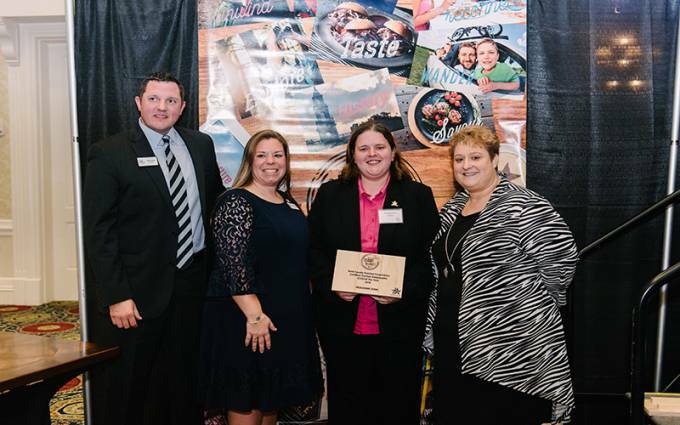 Tourism Person of the Year: Tina Watson, Bombay Hook National Wildlife Refuge: Bombay Hook National Wildlife Refuge's Outdoor Recreation Planner and CTA Extraordinaire, Tina is a tremendous asset to our tourism community. Through training and seminars she is motivated to educate visitors on the many habitats of coastal Kent Count. She encourages all of us to get up and explore our surrounding area, wherever we may be. Her enthusiasm shows as she teaches young and old alike what Kent County has to offer if you just take the time to discover it.